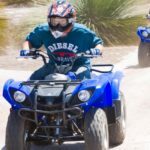 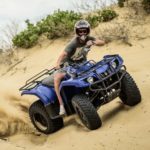 On our quad bike tours you'll roar across off road tracks, explore trails, climb sand hills and experience the Australian bush as you never have before. 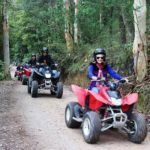 Quad bikes are a four wheel vehicles powered by a motor bike engine. 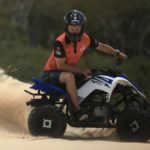 In fact they have their roots in motorcycling, originally designed with 3 wheels back in the 80s. 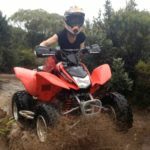 Quad biking is the ultimate gift experience for those who love adventure, motorsports and a bit of mud and dust! 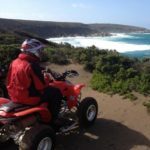 Our quad biking tours are all guided by experts so you’ll be in safe hands; ensuring you can have all the fun you deserve. 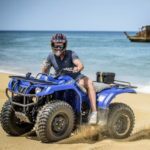 Our quad bike tours are also open to all levels of experience; whether you’re looking for beginners lessons or a serious adrenalin experience, these adventures are perfect just for you.